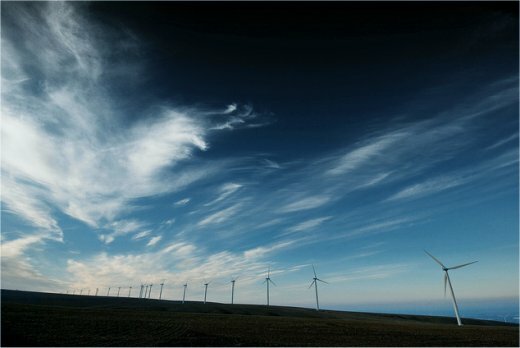 Results: Future batteries used by the energy grid to store power from the wind and sun must be reliable, durable and safe, but affordability is really the key to widespread deployment, according to scientists at Pacific Northwest National Laboratory in a report published online March 4 in Chemical Reviews. The report is one of the most comprehensive reviews of electrochemical energy storage (EES) to date. Why It Matters: Without advanced batteries, electricity from wind and solar power must be used the moment it's produced. Researchers say continuing to improve battery technology is critical to bringing down the cost and increasing the reliability of batteries. "By improving EES technologies, industry could tap into a near endless supply of wind and solar power and drastically reduce the dependence on fossil fuels to meet growing demands for electricity," said Dr. Z. Gary Yang, PNNL Fellow and lead author of the paper. The leaders of the battery "pack": In the report, researchers from PNNL say that successful EES systems will need to evolve—in some cases, considerably—if they are going to compete financially with the cost of natural gas production. And besides technical improvements, the systems will need to be built to last, using materials that are safe and durable so that batteries could operate more than 15 years and require very little maintenance over their lifetime. The report provides a comprehensive review of four stationary storage systems—ones considered the most promising candidates for EES: vanadium redox flow, sodium-beta alumina membrane, lithium-ion, and lead-carbon batteries. In their study, the PNNL researchers note the potential of each technology but, more important, explain what advances must occur with each if they're ultimately to be deployed. In a new report published in Chemical Reviews, PNNL researchers say future batteries used by the energy grid to store power from the wind and the sun must be reliable, durable, and safe, but affordability is key to widespread market deployment. Vanadium redox flow battery: A vanadium redox flow battery is a type of rechargeable battery that stores electrical energy in two tanks of electrolytes, or fluids that conduct electricity. Researchers conducting the study say redox-flow technology could be a good candidate for backup energy storage for durations of up to 12 hours, and could integrate wind and solar power in a residential neighborhood or at several large industrial sites. When energy is needed, the liquid is pumped from one tank to another. During this slow and steady process the chemical energy from the electrolyte is converted to electrical energy. When energy needs to be stored, the process is reversed. The amount of energy the battery can store is determined by the size of the tank and the amount of electrolyte it can hold. Researchers say this technology has potential if it can be made in a variety of sizes, portable, and affordable. Sodium-beta alumina membrane battery: This battery is typically built in a tubular design and uses elements such as sulfur combined with sodium to reversibly charge and discharge electricity using sodium ions layered in aluminum oxide within the battery's core. Researchers say the battery shows potential to store lots of energy in a small space and that its high energy density and rapid rate of charge and discharge make it a candidate for powering electric vehicles and for other applications that require short, potent bursts of energy. However, materials are expensive and there are safety concerns with the high operating temperature of the battery. PNNL researchers say modifying the shape of the battery can improve efficiency and lower the operating temperature and cost. In fact, PNNL and company EaglePicher Technologies, LLC of Joplin, Mo., are studying these improvements as part of DOE's Advanced Research Projects Agency-Energy, or ARPA-E, program. Lithium-ion battery: Lithium-ion or Li-ion batteries are most commonly found in household gadgets and electric vehicles. Li-ion batteries store electrical energy in various compounds, comprised of layers of different elements, such as lithium, manganese and cobalt. Because Li-ion batteries have a higher energy capacity and a higher power capacity than other technologies, Li-ion batteries are the most promising option for transportation applications like electric vehicles. Researchers say bringing down material costs and improving safety could vastly improve Li-ion batteries and could help accelerate the acceptance of electric vehicles, which themselves could serve as back-up storage on the grid. In a traditional Li-ion battery cell, positively charged lithium ions migrate through a liquid electrolyte, while electrons flow through an external circuit, both moving back and forth from one side to the other. This movement creates and stores energy. Li-ion batteries have been a success for small, mobile electronics such as cell phones and laptop computers, but making them larger is difficult because they are expensive and are prone to overheating and electrical shorting. Scientists say while substantial progress has been made to improve the technology, more work must be done to extend life, improve safety, and reduce material costs for the stationary applications. Lead-carbon battery: Lead-carbon batteries are an evolving technology born from the traditional lead-acid battery, commonly used in traditional automobiles and back-up generators. Scientists have found by adding a bit of carbon to traditional lead-acid batteries they can significantly increase the lifespan of the battery. Researchers say lead-carbon batteries could serve as a viable back-up source for wind and solar power because of their concentrated power. During discharge in a traditional lead-acid battery, sulfuric acid reacts with the lead anode and cathode to create lead sulfate. The process reverses during charge. This conversion produces a short, powerful burst of energy, such as that needed to jump start a vehicle. But over time, a lead-acid battery can lose its charge because of the gradual crystallization and buildup of lead sulfate within the battery's core. The corrosive acid also can eat away at a battery's core. Adding carbon to the battery seems to minimize or prevent this crystallization from occurring, improving the cycle life and overall lifespan of the battery. Researchers say this technology has potential for storing renewable energy but that more field work is needed to understand the limitations—and to find ways to bring down the cost. The capital cost of the technology remains at $500 per-kilowatt hour, and they believe it needs to be reduced to between $150-$200 per-kilowatt hour to be viable. Acknowledgments: The Department of Energy's Offices of Electricity Delivery and Energy Reliability, Energy Efficiency and Renewable Energy, and Advanced Research Projects Agency-Energy, as well as PNNL's Laboratory Directed Research and Development Transformational Materials Science Initiative, supported this work. Zhenguo Yang, Jianlu Zhang, Michael Kintner-Meyer, Xiaochuan Lu, Daiwon Choi, John Lemmon, and Jun Liu at Pacific Northwest National Laboratory wrote the report. The most commonly used battery systems today work by converting electricity to kinetic, or potential, energy and then discharging that energy back to the grid when it's needed. But these systems, such as flywheels and pumped hydro and compressed air systems, have limiting factors such as lack of portability. Electrochemical energy storage (EES) systems, on the other hand, can efficiently store electricity in chemicals and then release it upon demand. The EES systems work similar to a traditional household battery, but at a much larger scale, and use a variety of materials, like carbon, aluminum, and even salt. Like lead-acid batteries in a flashlight, batteries that store wind and solar power take in the electricity as it's produced and convert it to chemical energy, stored in the form of a liquid or solution. When the energy is needed from the battery, an electric charge starts the chemical conversion of energy back into electrons, which then move back into a power line on the electric grid.